Great gradient! I love the colors! I love the heart nail!! So awesome!!! 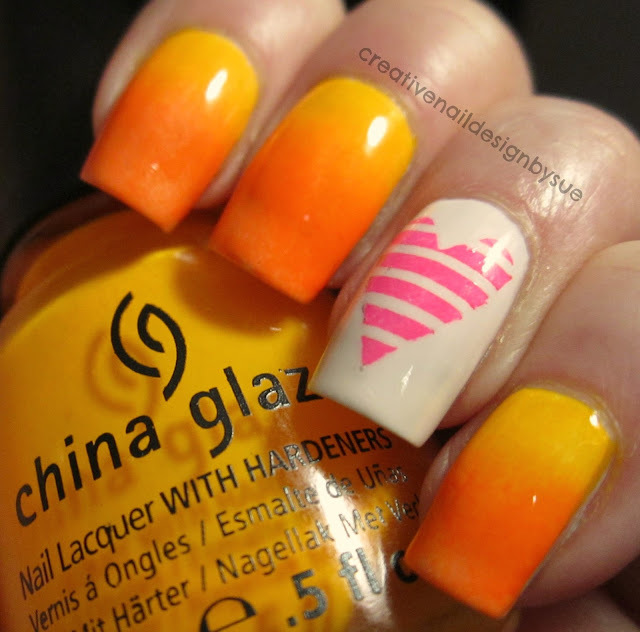 I waant that hard on my nails right now! wow that's a smooth gradient - awesome!